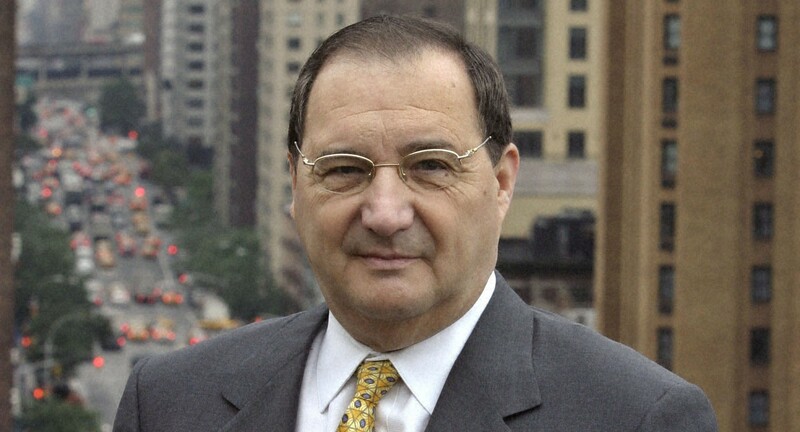 Abraham H. Foxman served as the National Director of the Anti-Defamation League (ADL) from 1987-2015 and is a world-renowned leader in the fight against antisemitism, bigotry and discrimination. In March 2016, he became head of the Center for the Study of Anti-Semitism at the Museum of Jewish Heritage in New York City. He is the co-author of Viral Hate: Containing Its Spread on the Internet (Palgrave Macmillan, 2013) and author of Jews & Money: The Story of a Stereotype (Palgrave Macmillan, 2010), The Deadliest Lies: The Israel Lobby and the Myth of Jewish Control (Palgrave Macmillan, 2007) and Never Again? The Threat of the New Anti-Semitism(HarperSanFrancisco, 2003). In the forefront of major issues of the day, including the rise of global anti-Semitism, the war on terrorism, church/state issues, religious intolerance and issues relating to the Holocaust, he consistently speaks out against hatred and violence wherever they occur. Mr. Foxman regularly confers with elected officials and community leaders here and abroad. He has had consultations in Europe, Russia, Israel, Egypt, Saudi Arabia, Jordan, China, Japan, South Africa and Argentina, and with Palestinian leaders, on problems of ethnic hatred, violence, terrorism and promoting democracy. He has had multiple audiences with Pope John Paul II, with Pope Benedict XVI and Pope Francis. Mr. Foxman is a passionate supporter of the State of Israel and a voice for peace in the Middle East. A Holocaust survivor, Mr. Foxman was a member of the President’s United States Holocaust Memorial Council, appointed by Presidents Reagan, Bush and Clinton. He has been a participant of official Presidential delegations to special events in Europe and Israel. Born in Poland in 1940, Mr. Foxman was saved from the Holocaust by his Polish Catholic nursemaid who baptized and raised him as a Catholic during the war years. His parents survived the war, but 14 members of his family were lost. He arrived in America in 1950 with his parents. A graduate of the Yeshiva of Flatbush, Brooklyn, NY, Mr. Foxman has a B.A. in political science from the City College of the City University of New York, graduating with honors in history. He holds a J.D. degree from New York University School of Law, and did graduate work in advanced Judaic studies at the Jewish Theological Seminary and in international economics at The New School for Social Research. Mr. Foxman is fluent in several languages.